This grand vin de Bordeaux is from the Gironde region east of Bordeaux. With a deep purple color, it has a nose of red and black fruit with floral notes. 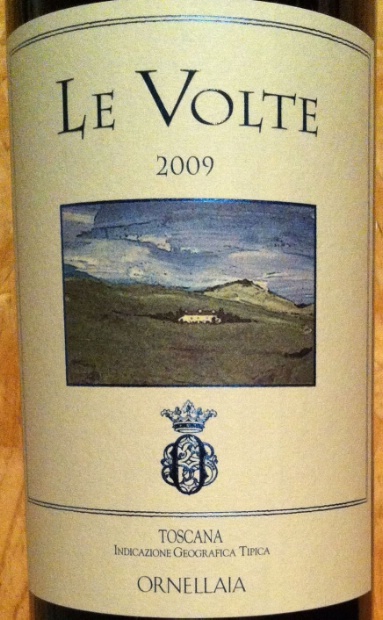 The palate is a well made bordeaux blend of plum, cassis, and spice box. The back palate is quite earthy, with notes of vanilla and oak on the finish. The 2006 is still a touch young and required some air and time to open up. If you can, decanter for an hour before drinking. I found this through Sherry-Lehman at 12/bottle but it’s on the internet as low as $10/bottle. For a nicely blended bordeaux that demonstrates a soft and feminine side, this is a good value in red wine that pairs nicely with meat or strong flavors. 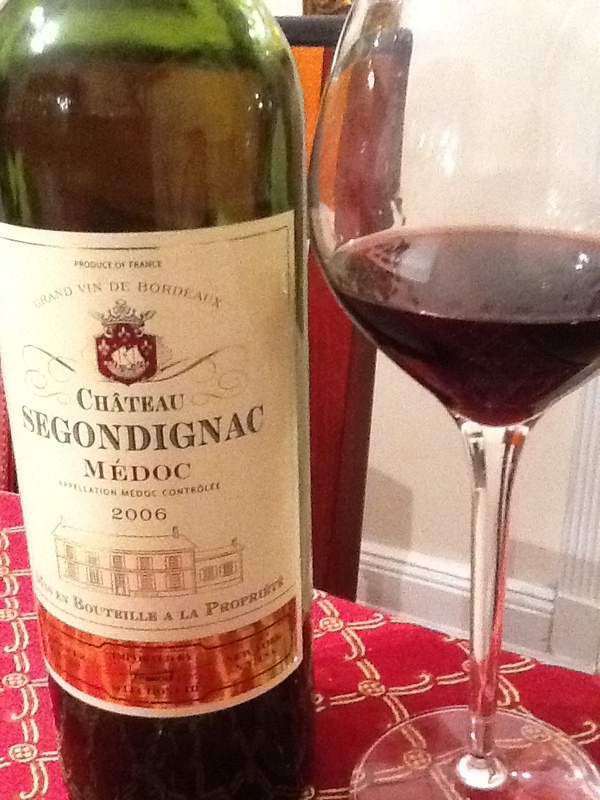 Chateau Segondignac could be an ideal wine for a party or dinner with several entrees. This ‘Super Tuscan’ is from the Ornellaia Estate in the Bulgheri region and located on the East coast of Italy south of Pisa and Florence. The wine is a blend of classic Sangiovese with Cabernet and Merlot. 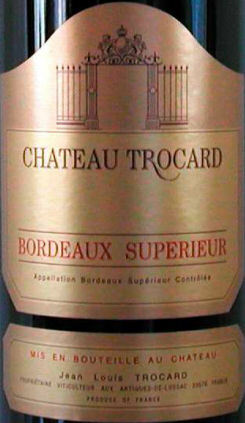 A ruby-bordering purple color with a nose of red and black cherry and spice, the palate is dominated by forward fruit with a slightly bitter aftertaste, strong tannins and medium acidity. It takes an initial moment to get used to but with a pleasant result. If you took Napa grapes and blended an Italian base wine to accomplish an Italian version of a good California cabernet, this is what you might hope for. While the strong flavors might offset the taster, they are open up and develop well with more aeration and are designed to complement the proper food- a spicy Italian meal, where the wine’s acidity cuts the richness of the protein in classic Italian fashion. Priced from 19-24/bottle, this is the value wine from the Ornellaia Estate and is well worth checking out for an Italian pairing. Have you bought wine at auction? I have. An exciting, energetic process, the thrill of bidding against others for items in demand can be invigorating. I’ve bought many things at auction over the years. Perhaps the best was a set of ten Biedermeier dining room chairs. That success was a keen eye paired with luck. The worst item I’ve won at auction was a time-share family vacation. It was a promising win that soured on us when it expired before we could take it. In the middle of those extremes are all kinds of things, from Yankees tickets to vintage microphones to, you guessed it, wine. Purchasing wine at auction has highs and lows of its own, and I’ve been on both sides of that bottle as well. 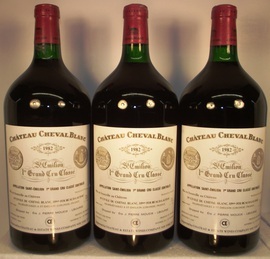 When buying wine at auction, you MUST know you have a chance of buying wine that’s bad. Corks go, bottle seep, and while they may proclaim “removed from professional storage,” that doesn’t mean the bottles were always cared for, that cellars didn’t have problems, that a collector didn’t leave a case in the sun just for a few hours. The wine can’t tell you its history even when it’s in your mouth. We can only guess at the truth. When looking at auction lots, though, it is easy to get excited in the bidding process. There are classic vintages of top Chateaux, very rare finds, multiple bottles, mixed lots, unusual sizes…the chance to get a great deal on something missed by the others. Wine auction buyers seem to forget what they stand to lose and focus on the positive. I think you have to focus on the positive to actually buy at auction, as reluctant buyers can get lost in the sea of paddles. But a savvy shopper realizes there will be some quantity of merchandise lost or discarded in a lot. For example, the differences in shoulder level alone in the pictures here demonstrate that the bottles will have differences. If that much air or seepage occurred in storage, how has it affected the product within? Not until the bottle is received and opened do you have any idea how you fare with an auction purchase. Unlike the ’07 Bordeaux I recently reviewed , a corked auction wine is NOT going to be a $12 wasted investment and easy to forgive. I have experienced extreme highs, amazing Chateaux, Sauternes and Burgundies from auction, as well as some real disasters. 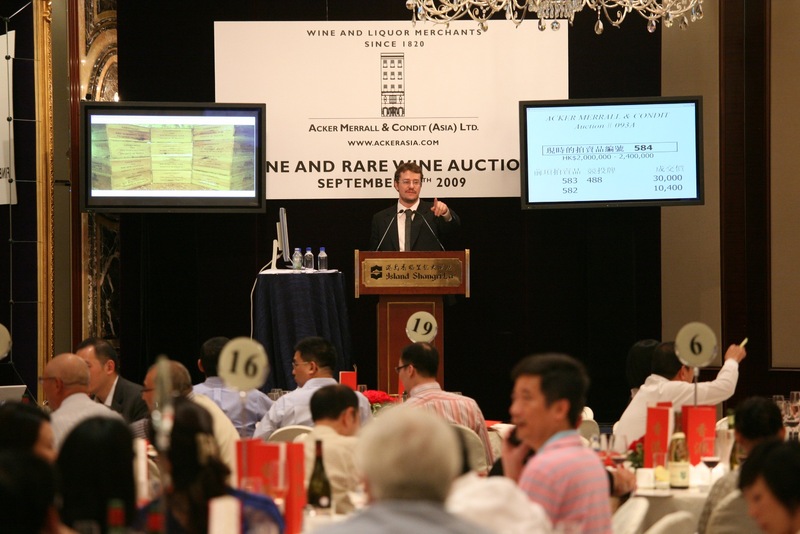 I have watched as the cost of auction wines have skyrocketed as the Asian wine markets do battle with the North American and European buyers. Many auctions are now based in Hong Kong or “Internet Only,” in addition to the classic Sotheby’s and Christie’s Fine Wine Auctions across the globe. The latest trend has been interesting to watch as buyers have passed on expensive lots en masse. Lots that start in the tens of thousands of dollars go without a single bid, and the auction house sends out an e-mail the following morning, offering the lot at a reduced reserve price. Some are snatched up, some ignored and back to the cave, and others quietly sold to buyers at a later date. Has the vintage market reached its zenith? I’d like to think so, but as new collectors increase their wealth and older collectors find wines they loved and want to experience again, possibly not. Limited vintages will always be desirable. 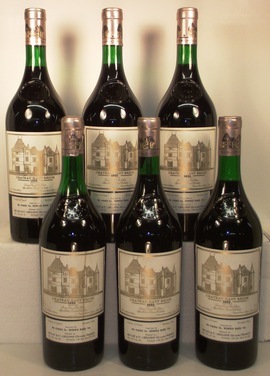 Too, there are only so many bottles of the 1982 Mouton Rothschild, although the recent discovery of high level wine forging has brought a new focus on qualifying lots and soured some collectors on ‘holy grail’ wines that are too good to be true. Are there plenty of new wines within reach? Yes, but new wines that can be drunk young may be something entirely different after maturation, and a bottle bought at auction may be perfect right now. New wines are more promising each year, with new terroir and wines from all across the world competing with historic powerhouses. The only thing they lack is age. The extraordinary 2009 and 2010 seasons have demonstrated another huge push in wine prices from classic chateaux. But after experiencing fewer purchases of expensive wine futures, some vineyards are promising a reduction in wines starting 2011. Auctions offer the wine lover some rare opportunities, but the path can be littered with potholes. If you bid, be a savvy shopper and be prepared for some loss in every lot. I have a great story about this… but I’ll save it for another time. Bottle photo credits from Morrel Wine Auctions: wines I bid on…and lost. Garnet color, complex floral nose with black plum a touch of graphite. The palate shows red and black fruit, with strong acidity and light tannins. This is an award-winning wine, a Gold Medal 2009 winner. For the life of me, I can’t figure out why, as I drank this wine but didn’t enjoy it. I tried, honestly. I tried this wine on three different tastings on three different days, and never got beyond ‘passable’. The funny thing is, I really wanted to like this wine. But the acidic palate and mouthfeel left me tepid. I hope I experienced a rare, bad bottle. If I had liked it, this wine would be a steal at 12/bottle,and I’ve seen it as low as 9/bottle online! If you’ve tried this wine, I hope you’ll share your experience with me. Should I buy and taste another bottle, or let it go and move on? At a recent B’way opening, a thoughtful friend gave me a bottle of wine. How appropriate, and how appreciated! What the giver didn’t know is how much I appreciate organic wines, and how rare it is to find good organic red wines. My MUCH better half has serious asthma and sulfites found in red wines can cause terrible asthma attacks, so I was highly impressed to find a lovely Syrah from the Loire region that’s been grown, matured, cultivated, selected, crushed, fermented, aged- all organically. “But how does it taste?” you ask? “Delicious!”, I answer. Rich with a nose of wildflowers, raspberry and gravel, the palate has bold flavor of boysenberry, cassis and a hint of blueberry and black pepper with bold tannins. Nice and tight, almost lip-smacking, on the finish. YUM! I made a chicken stir-fry with lots of fresh, powerful ginger root, scallion, green beans, red pepper, broccoli & snow peas. I let the Syrah breathe and tasted it whenI put the snow peas in to finish cooking, and enjoyed the bold flavors. It paired wonderfully, the bold fruit and tannins matching up against my mix of asian spices, complementing the fresh crisp veggies in the spiced dish perfectly. 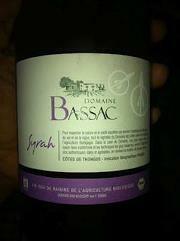 If you like organic wines, this one is a great choice from the Loire Valley that’s made with love and care, organically. You’ll enjoy it, I sure did! Two recents finds from a wine store I’ve not patronized for a while. Both are new to me and looked intriguing. At the end of the day, we’re basically looking at a white wine blend, which is LIKELY to be predominantly sauv blanc, but with a slightly sweeter edge. Color of light straw, nose is predominantly lemon with some bosc pear & fresh cut hay. Flavor is a green apple, pear and a hint of citrus with lingering tart finish. Ideal for an apertif; you could easily enjoy this by itself, with a meal, or after dinner. Complements wheat, rich cheese, or tart cornichons easily. Found this locally in one of my moderately priced wine stores at $9/bottle. I would pick up a case of this if I had more room to cave, but deliciously inexpensive whites can be easy to come by if you know what to look for. Hint, look for others like this- flexible, easy to pair, crowd pleasers. 🙂 Haven’t seen this before but will keep an eye out in the future. In looking for more information on it, I saw several very pleasing reviews, one of which called it “a summer favorite 5 ears running”. At this price, I can see why. From Argentina comes the second wine, and it’s one of my favorite bang-for-the-buck choices: malbec! This one is interesting, it’s magenta to ruby in color, the nose is red plum with graphite and a little road tar. Jammy on the front palate with red fruit, it finished quickly with more of the tar, but I didn’t sense the cigar box it was named for. If there’s cedar, it’s masked by something darker (maybe that’s exactly what they mean) but as someone who has had a few stogies, I’m not sold on the name fitting. Not a refined malbec but good for summer grilling and full of bold flavor. This was $13/bottle at my mid-priced neighborhood wine store but I saw it online for as low as $9/bottle. Still a good value if it pairs well with your food and you like a bold red, this one fits the bill. It’s a perfect man-cave choice. Classified by the AOC in 1855, purchased by the Baron de Rothschild in 1970 and considered lieutenant to the great Mouton Rothschild, this wine offers the wine enthusiast a glimpse into the hallowed ground of French oenophiles- not unlike walking across the field at Yankee Stadium, Wrigley Field or Fenway Park and standing on second base, leaving you with the impression of standing amongst the greatest players of all time. When my eye caught this bottle, I jumped at the opportunity to secure it and then waited over a month for an opportunity to taste it. I had hoped for my brother-in-law to be in town (either one, both love wine and are great company) but alas, that didn’t happen. The bottle glared at me from the buffet where it sat in cue, being ignored as I selected much lesser houses, grapes, vintages. But finally I was able to cook for my family, and the meal was designed to match a Pauillac . So recently I had my very first taste, and the following evening round two to confirm my impressions. Color is a warm violet with garnet hues and a gentle edge. The nose is a gentle mix of red and black fruit with floral notes. My final impression was dusty rose, an element that seems to follow classic Bordeaux I adore. I digress: I confirmed the dusty rose as soon as the wine hit the top of my mouth, along with black currants, vine-ripened cherry and red plum with rose petal, traveling back along the palate with notes of vanilla, gravel, oak. But the flavors- supple fruit, delicately balanced, no harsh acid or forced tannins- everything is in place. The tannins finally appeared at the lengthy finish with a satisfying pull. This wine is classic, mature, balanced, and beautiful. 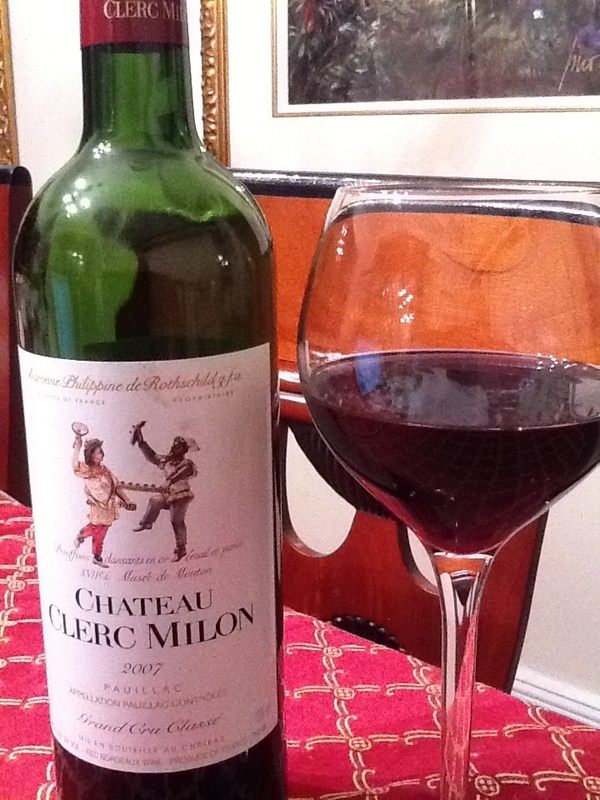 The Clerc Milon is seductive, delicious, and begs to be appreciated. Hard to find, on the expensive side (over $50/bottle) and requiring a real sense of appreciation, this is a wonderful gift or luxury item and is ready to be enjoyed now or caved for future opportunities. My wine bucket list is shorter by one. On the palate: the black fruit dominates. My taste buds experienced ripe black plum, juicy blackberry, some tart cassis, a bit of caramel, granite and charcoal with a grippy finish from strong tannins. The finish moved from back to the front of my palate, which felt backward but was delicious. I enjoyed this wine, even with it’s high 15% alcohol content. Normally, at this point I’d succinctly post my thoughts about the wine, suggest what it might pair well with, then move on. But Invictus Reserve 2009 has put me back a bit, and I held off my review for a week while I pondered this post. Do I like the wine? Yes. Does it pair well? Sure, with red meat, powerful flavors, even with a piece of buttered bread, this is a big, bold glass of Napa-ness. Here’s my problem: I found this at one of my premiere wine stores at $55/bottle. Yikes. Really? Yes, it’s pricey, which makes it a great gift wine, or a special occasion wine. Admittedly, I might have opened this too young and it could be all my own fault. Yet after being promised it was perfect to open right now and then “it drinks like a $75 bottle” I was let down. I feel it is overpriced, drinking like a $35 bottle. While a tasty, enjoyable wine, for my money and at this age, the Invictus Reserve left me wanting for depth, finesse and ultimately, value. That tiny tinge of value regret is what kept me from publishing this review for a week. •It’s not a great value. 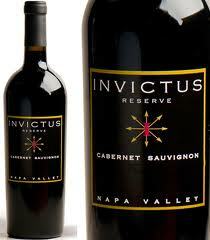 In spite of that, the Invictus Reserve is delicious, if over-priced. •There is a standard Invictus Cab Sauv for significantly less, FYI. It may not be the amazing blend of Napa grapes the Reserve is, but it will go a lot more easily on your wallet. •To play my own devil’s advocate, at a restaurant where everything is overpriced, this wine might be ideal as something you can trust to match several entrees and pair well, with great response from your guests…and a small tinge of pain on your credit card. • Wine glasses add to the experience of tasting and pairing by helping to deliver the wine well -much like the tires and suspension do for luxury car engines- except that wine glasses work in terms of color, flavor, nose, and temperature. You want a thin-walled, perfectly clear, stemmed glass as a starting point. 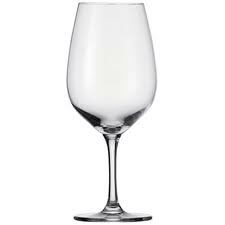 • For white wines, the taller, more narrow glass helps keep the wine at its colder temperature which is ideally served around 50°F. Also, the narrow rim helps project the subtle scents of white wines to your nose for enjoyment. Finally the tall rim allows you to view the color of the concentrated wine well by presenting more of its volume to your eye. 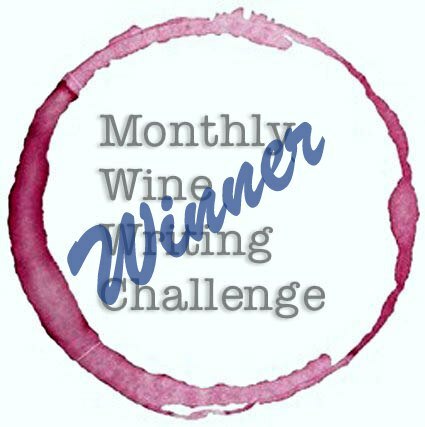 • For reds, ideally you want a larger, rounder bowl with a wide opening to enjoy the rich and complex flavors found in red wines. Shallower bowls won’t hold a cold temperature but reds are ideally served around 65°F. The wide bowl allows the wine to have more exposure to oxygen, important to the development of complex nose, flavor, and finish. This type of glass also aids inspection when turning the glass on its side to examine the color- to see the true shades of the wine, and inspect the edges for browning in older wines. 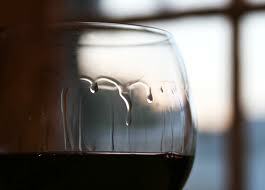 For softer red like pinot noir, a teardrop glass is ideal: bottoms are wider and the rims narrow to allow maximum aeration and capture of the perfume. • Do wine glasses matter? Only in the drinker’s appreciation of them, which is why restaurants pay close attention to detail here. Restaurants put great care into glass detail so that you will get maximum appreciation of an expensive choice. They (should) insure the wine has been kept at the proper temperature, stored well, and is uncorked and served properly. So why not do that at home? Using proper care for temp, storing, and serving only serves to increase the appreciation of highly specialized creations, and that in itself is worth the pomp and circumstance, much like the tea ritual. Have you noticed the incredible detail that the beer maker Stella has with it’s glassware, proper pour and serving? They haven’t missed a trick in how to insure the drinker appreciates the product fully. • What is with those funky shaped glasses? The stemless glassware popular from Fusion, Reidel and Spiegelau are beautiful to behold, as modern works of art, and practical glassware. The stem is the most often broken part of a glass, and stemless glasses are less likely to be knocked over. The removal of the stem makes the wine enjoyable in another fashion, while making it harder to judge color well and causing the wine to lose temperature and warm too quickly. I love my stemless glasses that allow me to enjoy the nose more, but I don’t use them at dinner parties. • What do I do personally? Well, honestly we have more glasses than we use or need at my home. I have two sets of every day wine glasses – one Bordeaux-type glass which is perfect for most whites, and a pinot noir set. I have a pair of Reidel O pinot noir glasses that are ideal for my forensic criticism of color and the elusive olfactory qualities of some wines. Most of the pictures I’ve taken from our home use the pinor noir stemmed glasses. For our formal dinnerware, we have a set of apertif crystal that is barely used, fancy champagne glasses that are barely used, and Bordeaux-style wine glasses that are heavily used for both reds and whites of all types. But the fancy crystal is lovely to use several times a year, and we enjoy it wholeheartedly. •This is what I suggest to wine drinkers who ask what kind of glasses they need: one style a glass, the basic red “Bordeaux” wine glass (like the one on the right) should serve for 95% of their needs. Unless you’re a sommelier, you need only supply more types of glasses as you require them. If I were to take you wine glass shopping and we saw an array like the one at the top of this blog post, I’d suggest you choose either the third glass from the right OR the third from the left, whichever would complement your households glassware and your hand. Both are the right shape, -and while some wine glass designs are very specific for the wine or grape, how much bouquet they can deliver to the nose and how the wine is delivered to the mouth- the one three from the left is simply just a slightly larger version from the one that is third from the right in that group. Had a stunning experience today with a group looking for a wine featuring something a little less fruit forward than a basic pinot but with some dense structure and complexity. Offered a taste, and I demanded a bottle, of the En Route Pinot 2009. In spite of it being a pinot, this is a very good wine. The Red Russian Valley (Sonoma bordering Napa) has a great environment for pinot noir grape when well made and here’s a prime example of a winemaker putting some serious love into their work.The result: fruit forward yet loads of structure, a purple-ruby hue with red raspberry and wildflowers on the nose, the first taste is bright red fruit, then hints of cassis & black plum, licorice and a touch of gravel. Black plum with perhaps rosebud on the well-defined finish. Nicely balanced acidity and fresh fruit along with the grippy tannins make it a medium body, which allows it to pair well with almost anything. Delicious and flexible, it’s a rare organic made find that is worth the cost- about $50 in the store, double that in a restaurant. Solid buy. And looking at ratings online, shows 93 points- I agree. At this price, a great gift wine, too, but even better to drink.